Who says you can't have it all!! 174 William St offers that and so much more!. Walking distance to Stoneham Center, steps away from the Tri-Community Greenway and a private fenced in back yard to retreat and enjoy the sunsets!. Inside this welcoming home you'll find an updated mud room that has ample space for coats, boots, backpacks or any other gear, a fireplaced living room that is warm and inviting, an updated kitchen including quartz counter tops and an abundance of cabinet space. A beautiful built in china cabinet adds to the charm of the expansive dining room. The second floor consists of 3 spacious bedrooms. The master has two closets!! A full bath including a large built in linen closet. Let's not forget about the bonus finished room in the basement and half bath!! Perfect for a play room or guest bedroom. 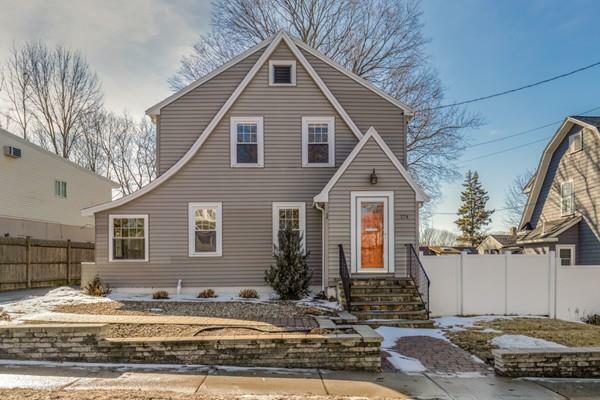 Located in the Robinhood School District, this house is a real gem!